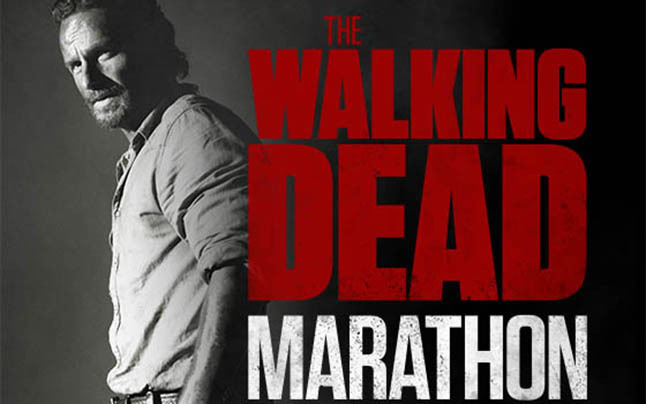 The Walking Dead New Year’s Eve marathon is back, and it will be starting on Tuesday the 31st, and ending late on January 2nd. AMC will be airing the episodes starting from season 1 until the most recent season 4 mid-season finale, Too Far Gone. Beginning with the Pilot, “Days Gone Bye” on Tue., Dec. 31, at 9AM/8c, episodes will air back-to-back in chronological order leading up to the Season 4 Mid-Season Finale, “Too Far Gone” at 5AM/4c on Thu., Jan. 2, 2014. So if you happen to be relaxing on what has become to be known as “National Hangover Day”, then be sure to flip the channel over to AMC and catch some of The Walking Dead.